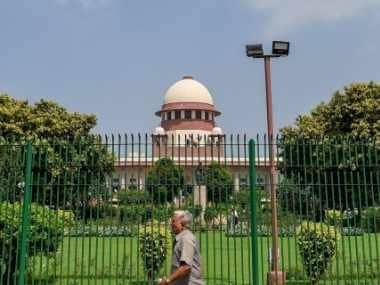 New Delhi: The Supreme Court said Wednesday that embattled realtor Amrapali Group of companies has played a "big fraud" by diverting money collected from home buyers to other firms and the "big racket" behind this has to be unearthed. A bench of Justices Arun Mishra and U U Lalit was told by the forensic auditors that from the documents of the group, it appeared that over Rs 100 crore was diverted to a company -- GauriSuta Infrastructures Pvt Ltd -- by one of the group firms and there were "various malfunctionings" by statutory auditors, who have totally failed in their duties. "The money (diverted by the group) has to be retrieved. Forensic audit is for this purpose and also how to catch the persons behind this and send them behind the bars if needed," the bench said. "This is a big racket that needs to be unearthed. They (Amrapali group) have done a big fraud. Let us see what can be done," it added. At the outset, forensic auditors Ravi Bhatia and Pawan Kumar Aggarwal told the court that they have found diversion of money collected from home buyers by some of the group firms, and some shell companies were also created for this purpose. During the hearing, the forensic auditors said they have not received any threats till now in the matter. "If there is even a slightest of doubt (of threat), you tell us," the bench said, adding, "whosoever high, you tell us. We will take care of that". The forensic auditors further said that Ashish Jain and Vivek Mittal were the Directors of GauriSuta Infrastructures Pvt Ltd and they were stated to be relatives of statutory auditors of the group. The forensic auditors also informed the bench that Chander Wadhwa, Chief Financial Officer (CFO) of Amrapali Group, was not co-operating with them and he had said that he "does not remember when he joined the company as its CFO". "He (Wadhwa) remembers when he got married and other personal details," the auditors told the court which directed Wadhwa to remain present before it on October 26, the next date of hearing. 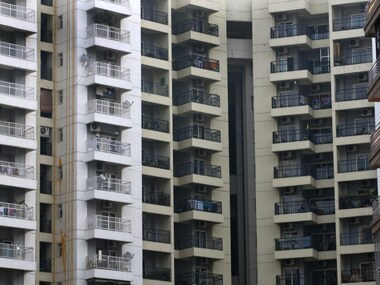 The auditors also told the court that they have taken possession of documents from six out of the seven properties of the group in Noida and Greater Noida and one property in Rajgir in Bihar. They said they have not received the documents stashed in a property at Buxar in Bihar. The auditors said that they have got the account records of the group companies but some of the documents were not available yet. To this, the bench said, "The primary idea why we want a forensic audit is that we want to know about money deposited by flat buyers and how the group has dealt with it. Has the money gone out of the company? We would like you (auditors) to see the trail of money and where the money has finally reached and in whose account". The forensic auditors told the bench that they have found diversion of money by some of the group companies and the statutory auditors and their relatives were also given flats by the group. "The main problem is that money received from the home buyers were spent partly and was diverted to other firms. They (some group firms) were transferring money to sister concern companies. We will find out everything and everything will be crystal clear," the auditors said. The bench asked the forensic auditors to submit an interim report by Thursday with respect to role of statutory auditors of the group, whether they were co-operating or not and as to their involvement in the matter. "We permit the forensic auditors to tape record the questions which they put to the directors etc and record their answers also and to submit that in this court along with their report," the bench said. The counsel appearing for the home buyers claimed that there was non-cooperation of Amrapali Group in the proceedings pending before the Debts Recovery Tribunal (DRT). "Let the order sheets of the DRT be placed on record. It is made clear to the Amrapali Group of Companies that they have to abide by the orders of this court and cooperate with the DRT," the bench said. 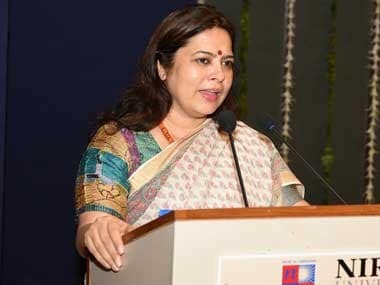 The bench also observed that the group has been enjoying holding the leased properties of Noida and Greater Noida authorities and they have pocketed the money collected from the home buyers. "They (Group) have been hoodwinking this court. They are hoodwinking the DRT and also the forensic auditors," the court said. 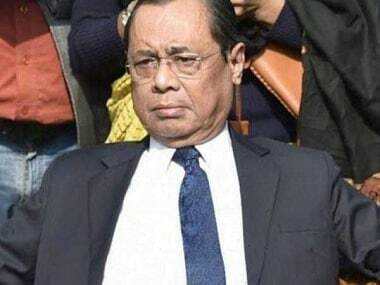 The bench also said that three directors, including CMD of Amrapali Group, who were placed under police surveillance under the apex court's order cannot be allowed to work from their home till October 26. The top court had earlier fixed a 15-day limit for the forensic auditors to collect, collate and catalogue the documents from 2008 till now with regard to the 46 companies of the group from the nine properties situated in Noida, Greater Noida of Delhi-NCR and Rajgir and Buxar in Bihar. It had also initiated contempt proceedings against the group's Chairman and Managing Director (CMD) Anil Kumar Sharma and its directors Shiv Priya and Ajay Kumar for prima facie violating court's order and thwarting the course of justice.